You can stop searching now. Award-winning hotel website Mr & Mrs Smith has just revealed its best family hotel, so you can avoid the stress, book up and be sure of fabulous holiday that will keep the whole family happy. 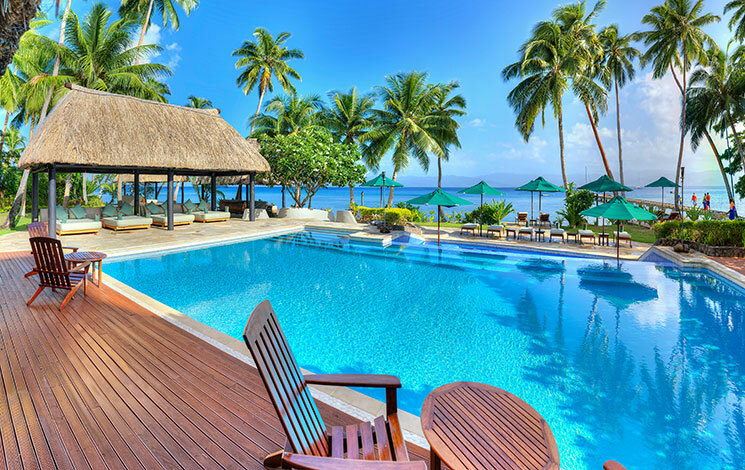 The Jean-Michel Cousteau Resort in Fiji carried off the family-favourite crown when the winners of the Smith Hotel Awards were announced at glitzy ceremony at Bankside Vaults recently. The South Pacific resort, which was founded by the son of legendary diver Jacques Cousteau, triumphed for the opportunity it gives kids to explore the world beneath the waves, its excellent free kids’ club and dawn-to-dusk nannies. The island sanctuary also mixes indulgence, cultural immersion and eco-friendliness to give the whole family wonderfully unique holiday experience. Public votes were gathered before the hotels were whittled down to three by a team of industry expert and a winner chosen. In the family category, the judges were looking for a resort that excelled with its warm welcome for kids, excellent childcare, great kit for the kids, happy mealtimes, bags of fun for kids and, just as importantly, for the grown-ups. Runner-ups the Marbella Club in Spain and Emirates One&Only Wolgan Valley in the Blue Mountains, Australia, also wowed the judges with the unique and well-rounded activites on offer. The fabulous Minimec-designed kids’ village at the Marbella Club, which combines Scandi-chic with a wonder-packed to-do list, is sure to keep the little ones amused, while grown-ups entertain themselves at the stylish beach club, golf course, elite equestrian centre and Thalasso spa. Adventure-orientated families can rely on the Emirates One&Only Wolgan Valley, set in 4,000-acre of pristine natural wilderness, to deliver an unforgettable eco-adventure of a lifetime. Last year’s winner, it offers mind-boggling bush safaris suitable for children of all ages, while a world-class spa, restaurant and lap-of-luxury suites keep parents happy. With such amazing experiences on offer, finding your family the perfect memory-making getaway should be a whole lot easier. Mr & Mrs Smith is an award-winning hotel website, booking service and free-to-join travel club, specialising in finding the world’s most inspiring boutique hotels.